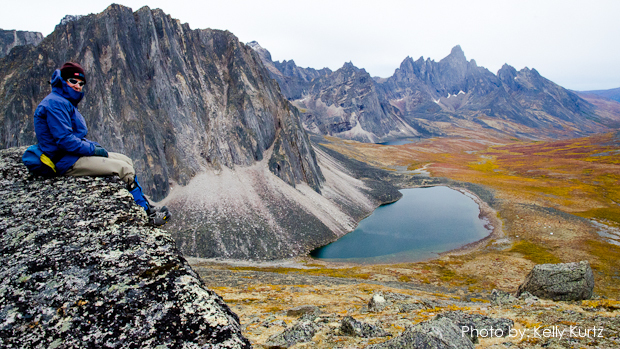 The Tombstone Mountains present an incredible and important landscape whose granite pinnacles have been shaped by wind, water, and glaciers into hornes, aretes and sheer rock walls. 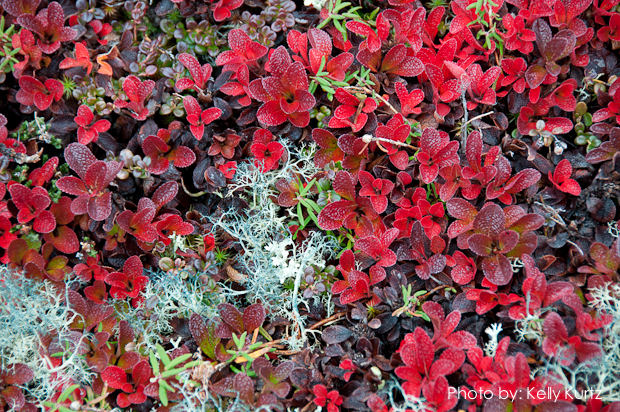 Sub-arctic tundra, boreal forest and alpine tundra all interweave creating a remarkably diverse and productive eco-system. At the northern edge of the Tombstone Range is Berengia, an area that escaped the glacial scarring of the last ice age. 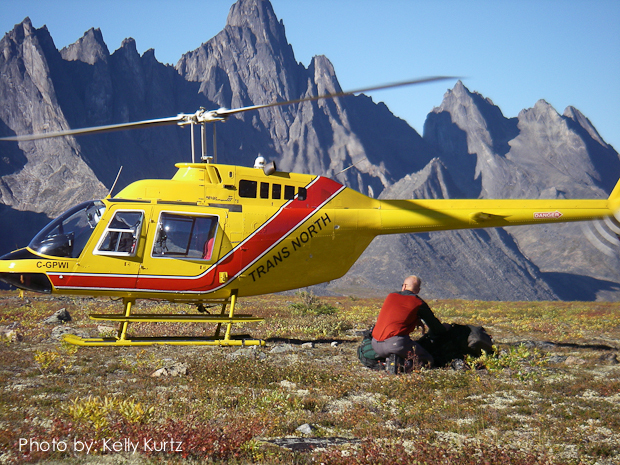 Our adventure into the Tombstone Mountains begins with a helicopter flight into the heart of the region. 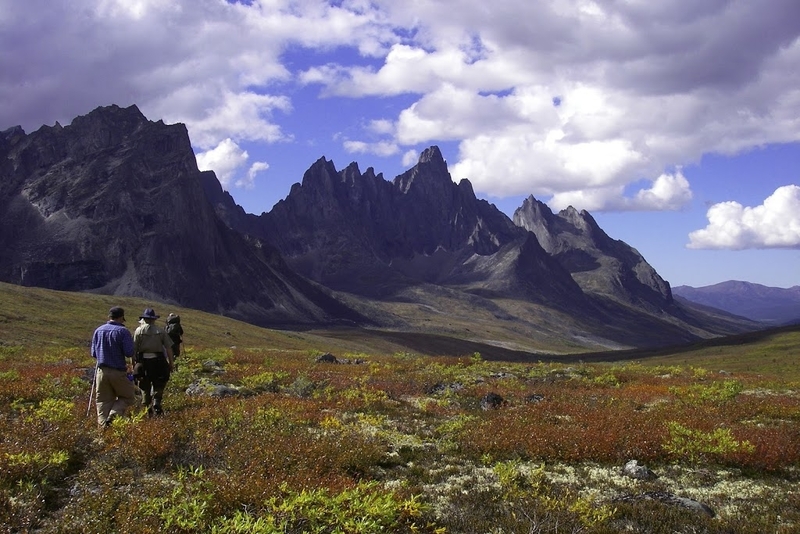 Our hike out will pass through an imposing landscape of hanging valleys, morraine lakes, and spectacular Tombstone vistas. After hiking our way out of the Tombstone Mountains, along GrizzlyValley, we will rendezvous with our van. We will drive on to Dawson City, restored to its glory goldrush days. We will take a tour of the goldfields, drive to the Dome and an exceptional view of Dawson and surrounding regions, and enjoy an evening of festivity at Diamond Tooth Gertie’s. 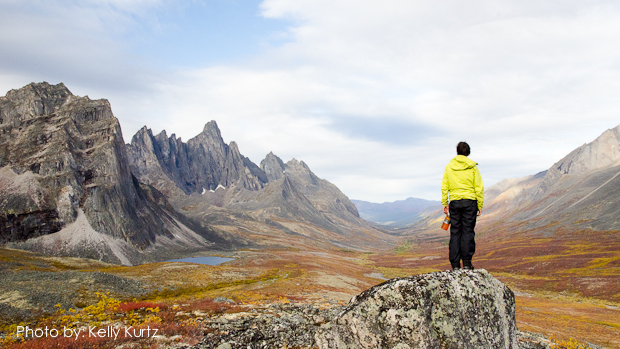 Included: Transportation from the point of origin and return, helicopter flight into the Tombstones, camping fees, accommodation in Dawson City, cooking gear, camp stoves, tents, meal preparations, meals/snacks/beverages on the expedition, tarps, major first aid supplies, emergency radio or satellite phone, and professional guides. Meals: All meals while on the backpacking portion of the trip. Day 0: Arrival in Whitehorse. 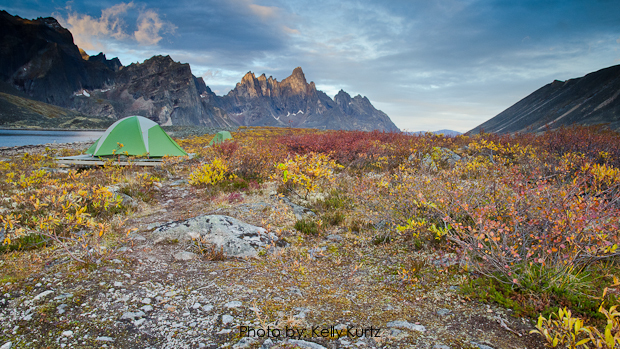 Day 1: We will leave Whitehorse and drive the scenic Klondike Highway to the Dempster Highway and make camp at the Tombstone Territorial Campground. Day 2: We will take a flight through the Ogilvie Mountains and put down near Mt. Tombstone. The helicopter will then fly over to the Tombstone campground and fly the remaining members of the group into our camp. The flight is one of many highlights during our trip. Days 3-5: Group ability and weather will determine our itinerary over the next 3 days. 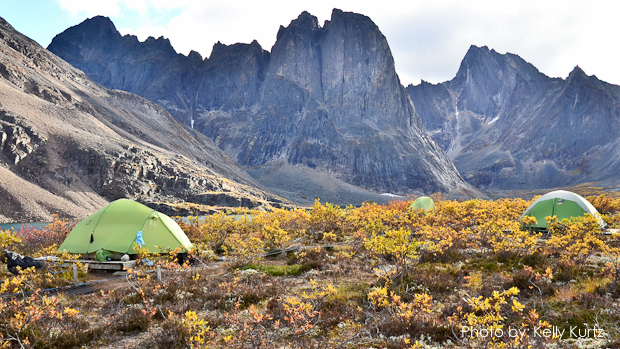 Our route will follow the impressive Tombstone Range, along the Tombstone River, past Talus Lake, Divide Lake, over Glissade Pass and into Grizzly Lake. 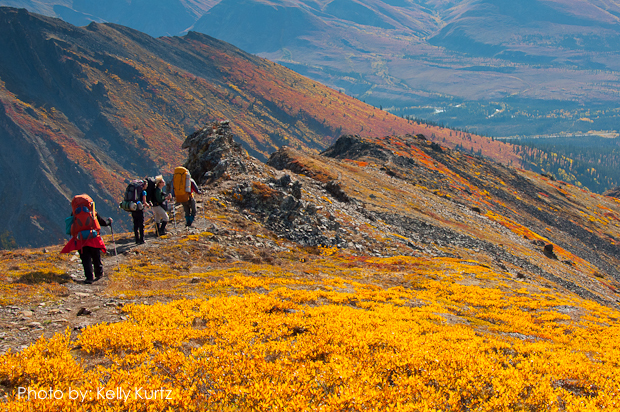 Autumn clours, the incredible presence of Mt. 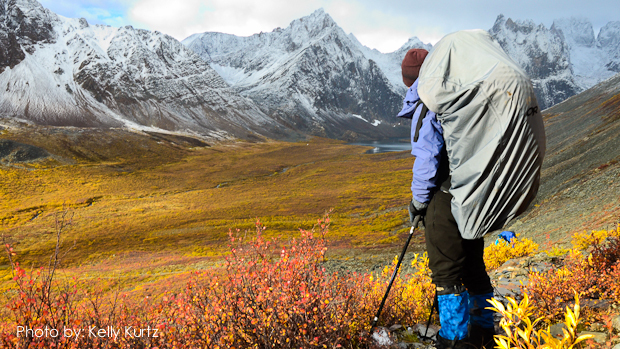 Monolith, scores of hanging valleys and mountain tarns will serve as backdrop to our hike. Days 6 & 7: We will make our way to our rendezvous with our van on the Dempster Highway. From here, we will head into Dawson City. Along the way we will drive up to the Dome with its superb views of Dawson City and the region around. Day 8: Return to Whitehorse.